Welcome to Sounds of Sortomme! 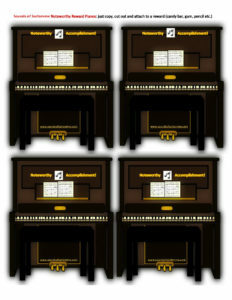 We are devoted to bringing the joy of music closer to you with fun, original sheet music, MP3’s, activities, and more. Check back monthly for new music updates. We’re entering two new songs into an upcoming music contest at free LDS sheet music! It starts April 17, we’ll asking everyone to check out these new songs and considering voting for them! Jesus So Tiny, a children’s primary song, and Turn to the Scriptures, a SATB sacred hymn! New feature! Each month we will have a new video for you to view featuring new products and fun ways to use our music. 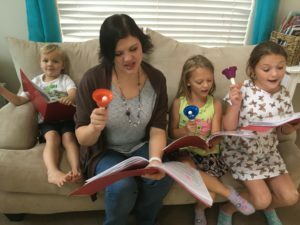 Ring and Sing music is a fun way to share music with many ages in different settings; families, school, day care, camps, even nursing homes. This music can be used with hand bells, hand chimes and kids play mini hand bells. Rhythm Band Instruments has several economical sets of Kids Play mini hand bells. We recommend the chromatic sets rhythmband.com has many options. Ring and sing with the children. 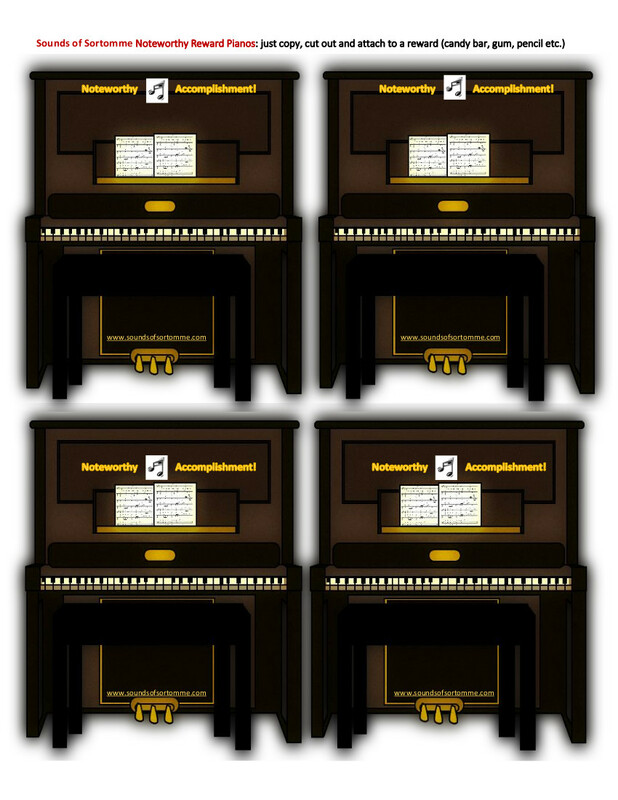 For Teachers: Reward and motivate your students with the Noteworthy Reward Pianos. Simply print and cut the pianos and tape to a candy, toy, or other treat. Download now and start awarding! Check out our new Primary (children) Christian music help page! 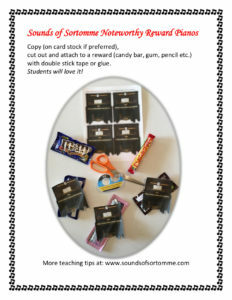 Check out our new Teaching Tips and hand outs here! Cheers to Gourmet Root Beer Links! Music Minute! Want to know some fun facts about the composing of some of these pieces? Click here! 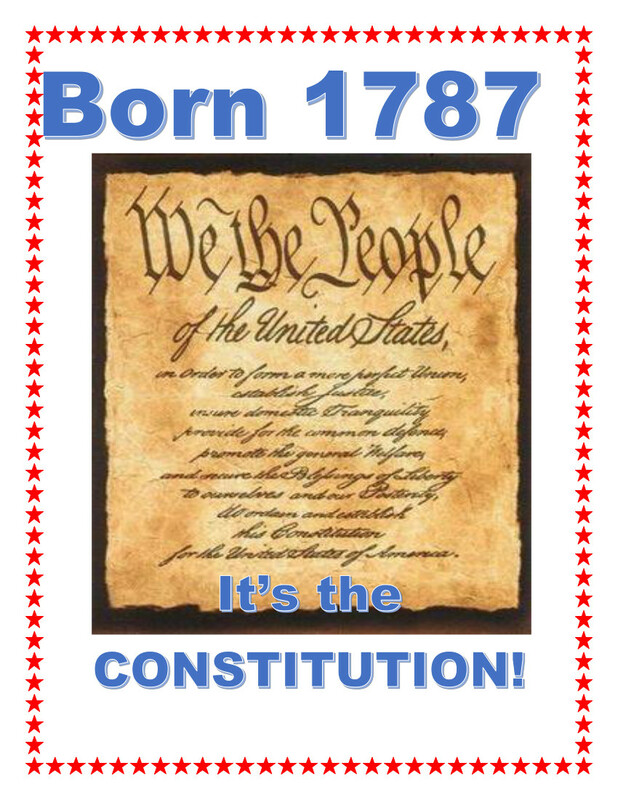 Teach children about the USA Constitution with this fun MP3 and lyric posters! 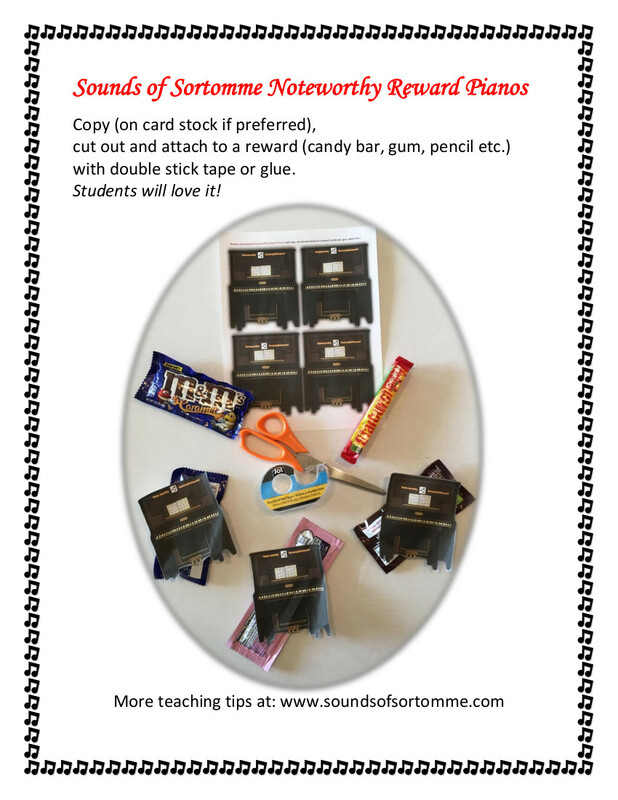 See previous Teaching Tips here!